Gorge or narrow pass where a stream or rainfall course opens up. Characteristic of the landscape of the Terra Alta area. LAFOU Celler was founded in 2007 with a desire to produce wines that reflect the greatness of the Garnacha variety and a wine region as extraordinary as the Terra Alta. The landscape, the vineyard terraces and the gorges make this an ideal place for this variety to express its true greatness. 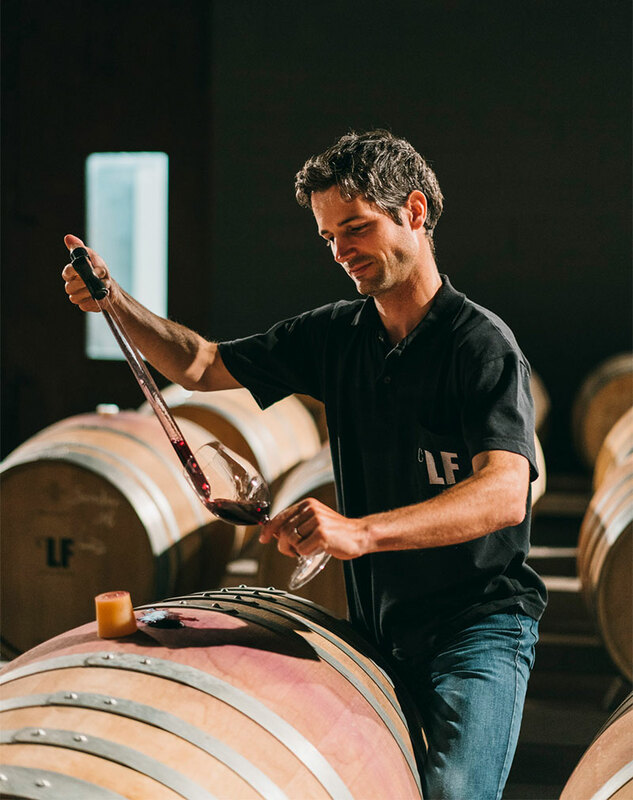 It was Ramon Roqueta Segalés – who comes from a family with a long wine-making tradition that dates back to the 12th century – who undertook this personal project at LAFOU. While studying oenology in France, Ramon was seduced by the Garnacha variety, by its expression and its elegance. It was then that he began to consider the idea of ​​developing a project based on this variety, and he began by looking for the territory where this variety best expresses itself. Ramon was captivated by the region of Terra Alta due its style of Garnacha; its freshness, its genuineness and its authenticity. Terra Alta possesses a long tradition in winemaking, a characteristic landscape of valleys and gorges, and an authenticity and belief in tradition. Since LAFOU Celler was founded, it has aimed to express the values and identity of the territory and the Garnacha variety, and its strives to combine respect for tradition with a vocation for innovation and modernization. In order to understand our philosophy, read what our winemaker says about our wines.